Our nation’s economic security depends on the well-being of our children, who are our future workforce and tax base. 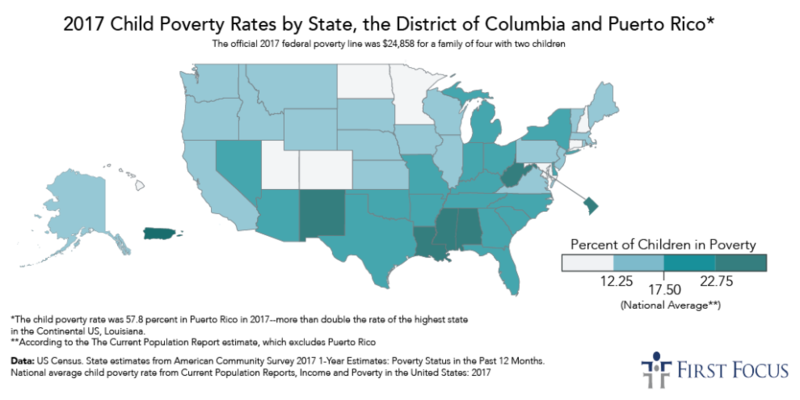 Yet data recently released from the U.S. Census Bureau indicates that millions of children in the U.S. are living in poverty and trying to thrive but facing barriers to success at every stage of their development. For more information and policy solutions to end child poverty, see the latest resources from First Focus and the Child Poverty Action Group.